Nuria Altes, like many other young vintners in Spain, comes from a family who has grown grapes for generations. Tucked away in a remote corner of Catalunya, Nuria's new project, Herencia Altes is situated outside the village of Batea, in Terra Alta, a little known DO southwest of the Priorat. 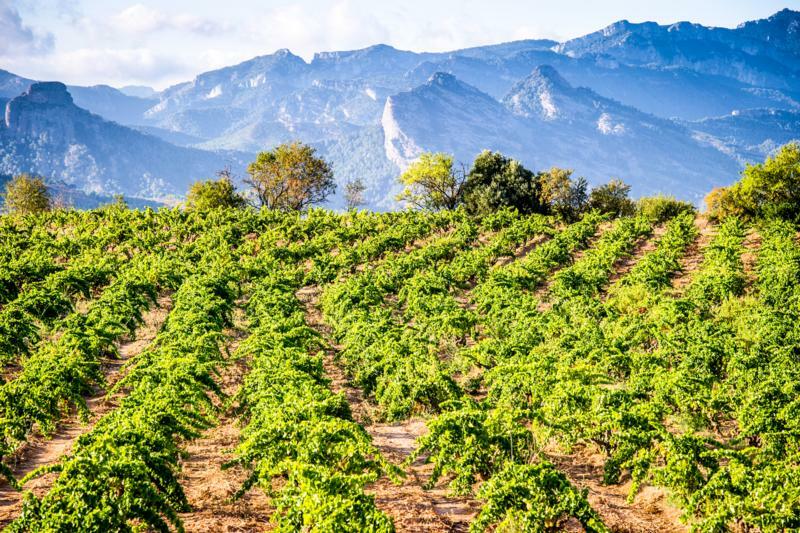 Remarkably Terra Alta is one of the largest wine growing regions in Cataluyna and one, of which few are aware – something Nuria has set about changing. Having grown up in the vines that her grandfather tended, Nuria has known these vineyards since her childhood and made the decision in 2010 to stop selling her fruit to the local cooperative and to instead make her own wines. In this project she is assisted by her partner Rafael de Haan and together they inaugurated a new cellar for the 2016 vintage located in her hometown of Batea. James Suckling 91"Bright and floral with poached strawberry and raspberry fruits. The palate has plenty of deep-set flavor in a fine-boned frame. Drink now."